Here’s a great article I found – The Benefits of Apples as Part of Your Health Care Regimen. Before you click over to read it, here is a great recipe Splendid Recipes and More prepared using green apples, though you can use your favorite color and variety. Green Apple Cider Cups, for those cold nights next to a warm fire place. Here is what you will need. On a cutting board surface, use a paring knife to cut off tops of the apple. Next, using the paring knife, outline where you’d like the “rim” of your apple cup to be, about 1/4″ wide. Use a spoon to carefully begin scooping out the center of your apple until you have a nice “cup”. A melon baller can work just as well. Take care not to cut through the bottom or sides of the apple when hollowing it out as the cider will leak out. If the apples do not sit level, use the paring knife and just slice off 1/8 inch or less off the bottom. When you have the inside of the apples hollowed out, brush some lemon juice over the inside of the apples, to prevent them from browning. 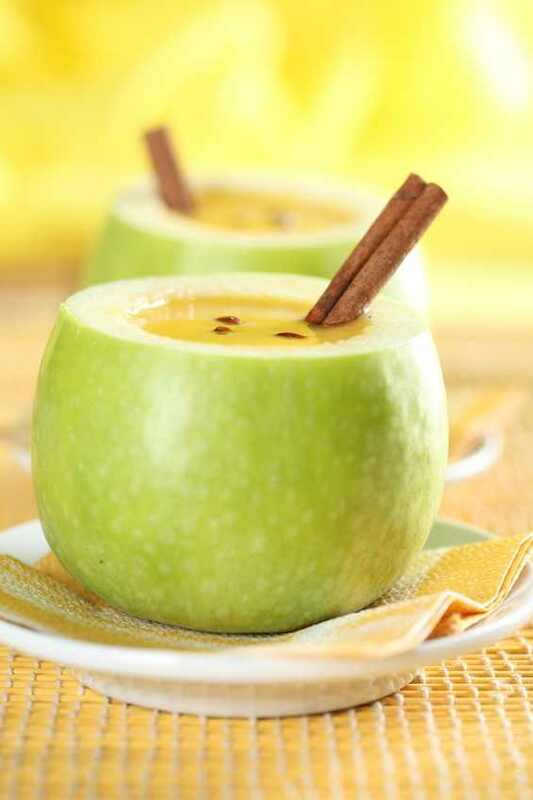 Fill with your favorite apple cider, garnish with a cinnamon stick and any other of your favorite spices, and serve. We have always heard the expression, “An apple a day, keeps the doctor away,” and that saying could have a lot of truth to it, and here is why. The high content of pectin and fiber found in apples promotes good digestion, helping to maintain low insulin and glucose levels within the blood stream. 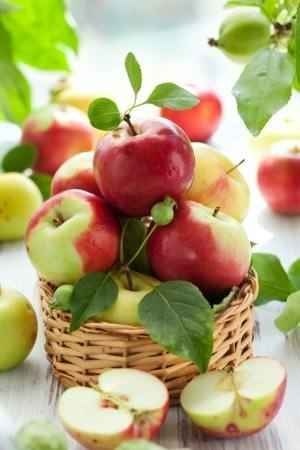 Apples help you feel full for longer and is thought to lower serum cholesterol. This entry was posted in Beverages and tagged Acetic acid, Apple Cider, Apple cider vinegar, Apple Inc., Apple juice, Benefits of Apples, Cramp, Hair, Hot Apple Cider Recipe, lactic acid, Magnesium sulfate, Mehmet Oz, PH, Your Health Care Regimen. Bookmark the permalink. It is so funny that you posted this. I found a 100 procent apple juice that is unfiltered, no preservatives or sugar added. I have not found this kind of apple juice for 30 years. My stomach has improved since I added that to probiotic foods, applecider vinegar and water tonicand probiotic tablets. Thank you for all your advice and information. My health has taken a major turn for the better.